Ginger needs no introduction to Indian food. 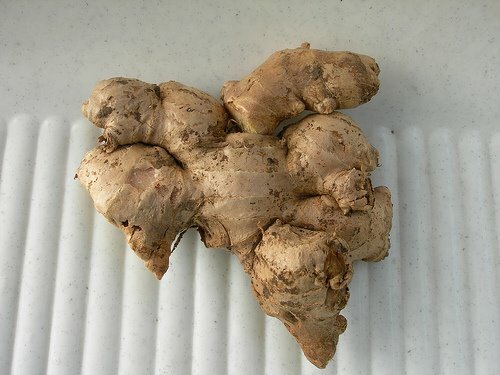 Ginger is native to India and China. It is added to almost all the Indian curries and gravies. It is an effective digestive aid. It increases the production of digestive fluids and saliva. It is also effective in curing both motion and morning sickness. It helps to relieve arthritis pain and stimulate circulation of the blood, removing toxins from the body, cleansing the bowels and kidneys, and nourishing the skin. It contains a compound called gingerol which helps to lower blood pressure. It is also used in the treatment of asthma and other respiratory problems.